It is time for our 3rd challenge at TIME OUT. We had so many wonderful entries for our 'Home Sweet Home' challenge last week that it is going to be hard to choose the winners. But if you check back next Thursday we will announce them! 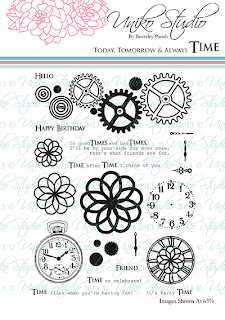 That means you can make any kind of Birthday card you want or you can twist along with us and make a Masculine card. If you do twist then you will be in for the chance of winning a £15 gift voucher from Uniko Studios. This winner will be randomly selected.We have more prizes from Uniko Studios-check the stamp set and dies at the end of my post! I decided to go with the twist and make this card for my husband's Birthday next week. 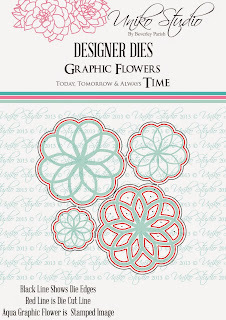 I have used the 'explosion' stamp set from Uniko Studio who we are very lucky to have sponsoring us this week. I made the background by repeatedly stamping the explosion stamp and then heat embossing it with clear powder. This week we are very happy that Beverley is joining us as our Guest Designer. Beverley won our very first challenge and she has made a fabulous card for us. Check it out here where you will also see all the cards from our wonderful Design Team. And back to the prizes!! Tempted??? You have until Wed 23rd 5pm GMT to take TIME OUT and join in the inky fun! 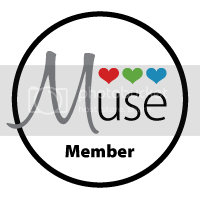 Love how you've used the stamp in the background and the little blue heart is great. The placement of the explosion stamp is perfect. Your husband is going to love it! This stamp is ideal for a masculine design! Your card - again - is perfect, not only as inspiration for the challenge, but for your husband's birthday! He'll love it, as do I! 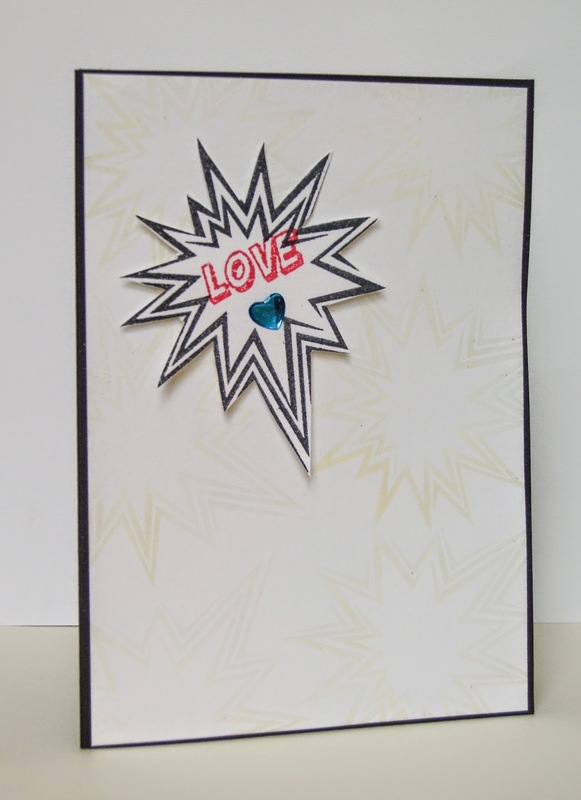 You've certainly sparked ideas for the explosion stamp - looking forward to playing with mine soon! Fabulous and delightful!! Sandie, this is a fabulous card for Callum. I love the burst of love...so cool! Way to rock the optional twist! Great card Sandie. Love how you have used the stamp on the background as well. Have a great weekend. Happy Birthday to Callum. Love the subtle starbursts in the background with the main image saying "pow"! Great card! Who doesn't love Snail Mail!! TIME OUT Winners and Challenge Reminder!